In case you didn't read it on our Facebook page or the Harriet blog, we have some news to share--a milestone for Black Ocean, and a good sign of vitality of poetry. 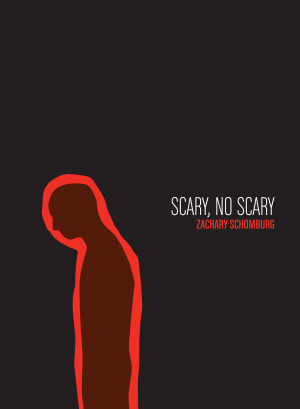 Zachary Shomburg's Scary No Scary and The Man Suit have sold out, and are going into their second and third printings respectively. Read our press release below for full details about these books and others, and get fresh copies for yourself by clicking the catalog link at the top of the page! Who says poetry doesn’t sell? And who says no one wants to read tangible, physical books anymore? Not Black Ocean, that’s for sure, who this month are celebrating the 10,000th printed copy of a Zachary Schomburg book. Schomburg’s The Man Suit has entered its third printing, and his Scary, No Scary has entered the second—making for a combined 10,000 copies in print. At a time when very established university presses and other poetry publishers consider themselves incredibly lucky to sell-through a poetry print run of five hundred copies, Black Ocean’s success is not only rare, but it is a quantifiable testament to Black Ocean’s commitment to beautiful books and unique promotion. He is at once a poet’s poet and a people’s poet, and his work has found new audiences and unexpected readers and inspired everything from tattoos to full-scale theatrical adaptations (with shadow puppets no less!). This penetration of unconventional spaces and forms with poetry is exemplary of the Black Ocean mission that encourages its poets to take poetry on the road and tour, while saturating the public with skilful and passionate forms of expression through a wide variety of mediums. Schomburg isn’t the only title with above average sales either. With standard print runs at 2,000 copies, recent books by Matthew Henriksen, Brandon Shimoda, Joe Hall, Julie Doxsee—and translations of the Swedish poet Aase Berg by Johannes Göransson—all speak to the triumph of Black Ocean’s ideal. For those who say it can’t be done, that publishing poetry is a fool’s gamble, evidence of our recent successes are proving them wrong.